Learn and improve how to build a photographic series be it linked to fiction, reality or both. Build a plastic approach and an artistic coherence in the approach of a subject. Develop your own dedeosual language and photographic identity. Learn how to create a news series but also continue and improve an existing body of work. Claudine Doury is a French photographer who lives and works in Paris. After having been a photo editor in Paris for the “Gamma” Agency and the newspaper “Liberation” as well as for the agency “Contact Press Images” in New York, she became a freelance photographer. She is a member of the “Vu” agency and is represented at the Galerie Particulière in Paris and Gallery Box in Brussels. “People of Siberia” documents ways of life which are slowly disappearing. “Artek, Summer in Crimea” captures collective changes in Russian society which is in upheaval, as well as the transformations of the young people in this old pioneer camp. 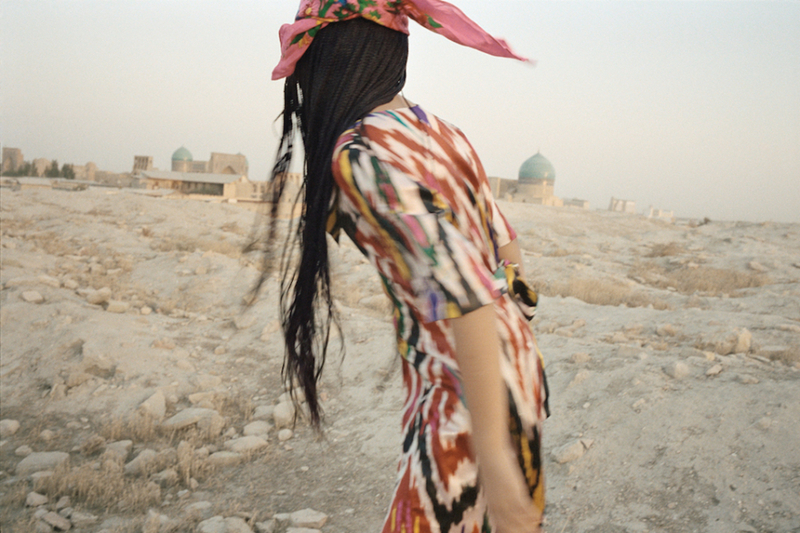 “Loulan Beauty” superimposes two visions of Central Asia: the end of the Soviet model and the old scenes that remain, immemorial, carried by young modern women who resemble Loulan Beauty, but 4,000 years older. With “Sasha”, a piece of work about the loss of a childhood, these rituals are set in place, these moments of suspension, the intersection of all possibilities. The focus of her current work is found between documentary and fiction. Claudine Doury is successfully the winner of the Leica Oskar Barnack Award in 1999 and the World Press Photo Award in 2000 for her work on the Siberian People. In 2004, she received the Niepce prize for all of her work. She has published four monographs: Siberian people (Le Seuil Editions), Artek, a summer in Crimea (Editions La Martinière), Loulan Beauty (Editions du Chêne) and Sasha (Editions Le Caillou Bleu). “I had the opportunity to lead the workshop repeatedly with Claudine Doury and I was always struck by her huge generosity, her dynamism and her empathy towards each participant, without any exception. Claudine Doury has the deep and sincere willingness to go through each participant’s motivations in order to encourage them to bring the best of themselves. 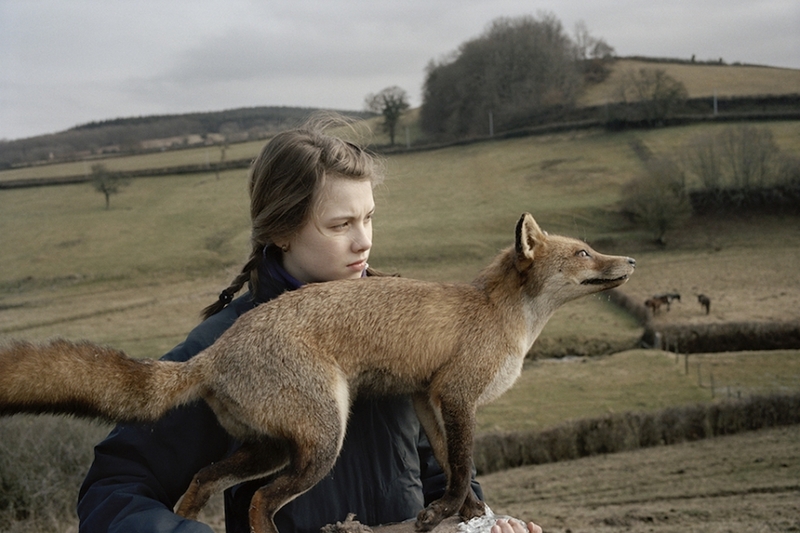 Claudine Doury is a member of Agency Vu’. If you want to be kept informed about Claudine Doury, you can go on Facebook, LIKE Eyes in Progress, her agency Vu’ and add us to your list of interests. You’ll be expected to fully immerse yourself, take risks and push your boundaries in order to move forward into another level in your photography. Claudine Doury will spend time talking about her own work and the different projects she has worked on. 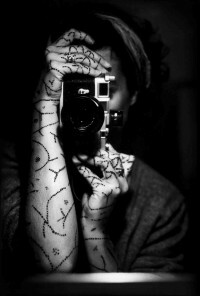 She will share her photographic references with the group and talk about the different steps of her photographic path. She will show us her books, travel notes and diary she makes when working. Each participant will receive and in-depth critique of their work which will also be used as a jumping board for workshop projects. Participants are highly encouraged to come to the workshop with defined ideas on the subject they want to photograph during the workshop. However, a session will be devoted to refining each participant’s story and a list of suggestions of projects will be provided by Eyes in Progress. Each participant goes shoot his own project. Help with directions, contacts and translation in Paris will be provided by the workshop team if needed. Participants are encouraged to come back as often as they can to the studio so they can show their photographs and get the feedback and improvement suggestions to Claudine Doury. Shooting session is not mandatory, if a photographer prefers to work on an existing series he has already started to work on, he will be able to. In that case, the participant will have to bring a certain number of photographs so he can work with Claudine Doury on the approach, the editing and the sequence. Each participant will work on a large edit of his images, then they are printed and laid down on a table (10×15 format). The final editing and sequencing is made during a one-to-one session with Claudine Doury, participants are encouraged to attend the sessions of each other. Once the final edit is done, the participants may work on the post-process and captions. They are then to write a personal statement on the work and on themselves, which will be send to the photography expert of their choice. It will also be possible for those willing to finalize their series with a book sketch-up they will make under the supervision of Claudine Doury. > If you apply before January 16th 2016: successful applicants will be informed via email by January 18th, 2016. > If you apply after January 16th 2016: successful applicants will be informed via email by February 18th 2016. Applications will be open until February 16th, 2016.